Staying true to our goal to offer you the most comprehensive coverage of the most innovative and exciting new products, the Macworld Superguide series offers thorough reference guides to help you learn about specific topics. These books - available on the iBookstore, Kindle, and Nook Store, or as downloadable bundles, CDs, or printed books - are produced by the Macworld staff and are packed with practical how-tos, in-depth features, tips and tricks, and more. iCloud does a lot of amazing things: It keeps your mail, contacts, calendars, reminders, and notes in sync. It instantly (almost magically) copies that photo you took of your cousin on your iPhone to your Mac, iPad mini, and laptop. It lets you work with your Macs from afar. It helps you find stranded and wayward devices, and lets you know when your friends are nearby. And it does it all for free. 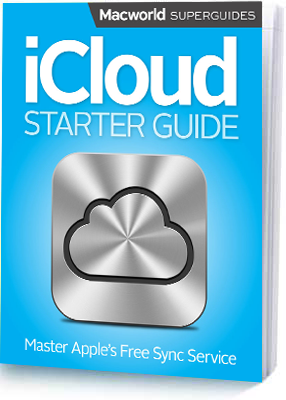 Let the editors at Macworld help you learn everything you need to know about iCloud. Nobody spends more time with Apple's computers and software than the writers and editors at Macworld, the world's foremost Mac authority in print and on the Web. Every year Macworld publishes huge amounts of photo-related advice including tips for shooting, managing, editing, and printing digital photos. Now this wealth of information is available all in one place, updated for iPhoto '11 and organized in an easy-to-follow guide. The Digital Photography Superguide is bursting with the latest insight and advice for every aspect of digital photography on the Mac. If you're shopping for a new camera, you'll find useful, up-to-date guidelines for picking the right one for your needs. Once you have a camera, this book will help you take better pictures with shooting tips and tricks from professional photographers. As your photo collection grows, use this book to stay organized and to help bring out the best in your images with iPhoto '11, Apple's excellent photo manager and editor. We'll show you how to take advantage of the newest features, including face recognition and GPS support. We've also got tips to help you print your pictures yourself, scan old negatives and slides, get the best results from an online photo service, and have fun with Web galleries and more. You'll also learn the best ways to back up your photos so you don't ever lose precious memories. If you love seeing what your digital camera and Mac can do together, this is the book for you.